Earlier this week, Cherise Gowan, aka Beauty By Cherise, stopped by the Azazie office create an Enchanted Evening look for Azazie. If you missed our Instagram live tutorial, there’s still time to make up! Check out our 10 favorite tips from the beauty guru’s visit below. Apply foundation. Cherise emphasizes that the correct shade of foundation makes all the difference between feeling flawless and feeling like you’re wearing a mask. Apply bronzer, blush and highlighter — in that order. A fun trick to remember the order is to think about Neapolitan ice cream. If you don’t have a brow filler, using an eyeshadow that is a similar shade will do exactly the same thing! Periodically spray face with a setting mist. Don’t skimp! Fold a paper towel and place against the under-eye when applying shadow to the lower lash line for easy cleanup. Put a light, matte color all over the lids as a base, and add a dark brown to the corner of the eyes. Blend it out with a lighter brown to create a smokey effect, and add a light, shimmery shadow to the middle inner corner of the eyes to create a glam, evening look. Add fake lashes (cut to fit, of course) because nobody is trying to be inconspicuous tonight. Blend with mascara. Hide the lash seam with liner. You can clean up any mistakes with some concealer and a small brush. Go over your lipstick with the liner to lock it in place all night. Don’t forget to check for lipstick smudges on your teeth! 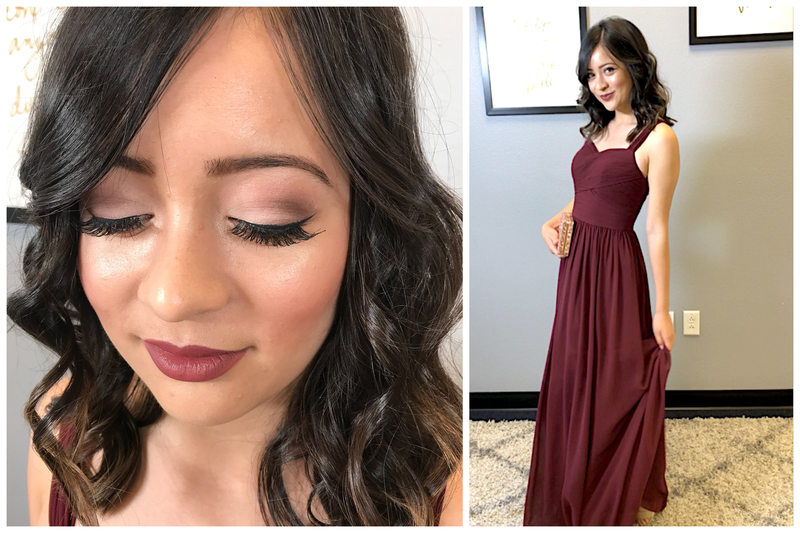 Cherise, aka Beauty By Cherise, is a self-taught makeup artist, mobile tanner and hair stylist who creates her clients’ dream looks for their weddings and special events. She knew she wanted to be in the beauty industry from a young age after watching her manicurist mother make beautiful designs on customers’ nails. She began giving people makeovers at just 14 and has now provided hair and makeup services for over 13 years, specializing in hair color and special event hair and makeup. Her everyday look? “Foundation, brows, blush, highlighter, mascara, and a Kylie lip kit color.”. To contact Beauty By Cherise or to learn more about her, visit her website.